SAN FRANCISCO—February 2, 2016—Salesforce (NYSE: CRM), the Customer Success Platform and world’s #1 CRM company, introduced the next generation of its Customer Success Platform, Salesforce Lightning, and previewed its product strategy for the first half of its current fiscal year. For 17 years, Salesforce has been raising the bar for CRM. Powered by the latest cloud, social, mobile, data science and IoT technologies, Salesforce has set a rapid pace of innovation with three major releases every year—and this summer, the company will deliver its 50th release. 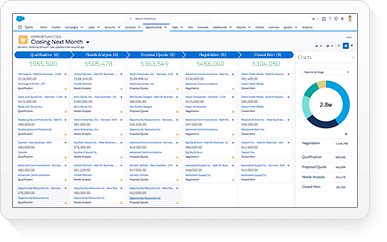 New Salesforce Lightning advancements include Salesforce SteelBrick CPQ, SalesforceIQ Inbox and Field Service Lightning. In addition, Salesforce announced new packaging for Sales Cloud Lightning and Service Cloud Lightning. Salesforce has been on a continuous journey for the last 17 years to completely re-imagine CRM for the digital era. In 2015, the company launched the new Salesforce Platform—Salesforce Lightning, a powerful multi-tenant, next-generation metadata platform that provides a consistent, modern user experience across any device. With the Salesforce Lightning App Builder, business users and developers can quickly and easily build apps, and the thriving Lightning Ecosystem provides customers with a broad array of third-party apps and components for everything from financials to human resources, fully integrated with Salesforce. More than 90,000 customers and 55 partner components take advantage of the advanced features of Lightning today. Salesforce SteelBrick CPQ: Built on the Salesforce platform and leveraging Lightning, SteelBrick CPQ is now part of Sales Cloud with the February 1, 2016 close of Salesforce’s acquisition of SteelBrick. 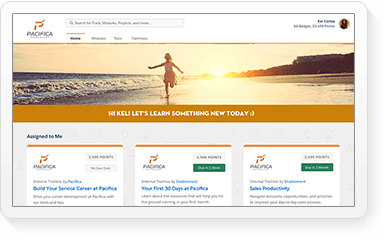 Now Sales Cloud is the industry’s first comprehensive sales platform that offers everything from lead-to-cash, empowering salespeople to sell faster, smarter and the way they want. Lightning Voice: Natively embedded in Sales Cloud Lightning, Lightning Voice will empower reps to connect with prospects faster with click-to-call, auto-logging of calls, and call forwarding to take calls from anywhere. 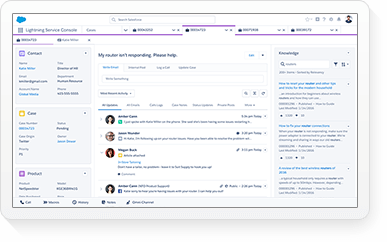 SalesforceIQ Inbox: SalesforceIQ Inbox turns employees’ inboxes into a CRM app by bringing the power of Relationship Intelligence to Sales Cloud users directly in their email. The intelligent iOS, Android and Chrome apps combine the power of Sales Cloud data with email and calendar, enabling sales reps to easily manage their email, leads, contacts and opportunities with proactive notifications and smart scheduling. Sales Wave App: Optimized for sales, the Sales Wave App delivers data-driven insights to reps on any device and empowers them to take action. With Lightning Actions in Sales Wave, sales reps can collaborate, create and update Sales Cloud records directly within Wave. 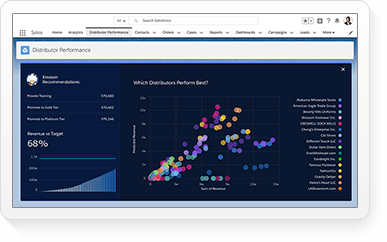 New dashboards for pipeline trending, performance benchmarking and activity management help reps drive better performance and close more deals. Salesforce1 Mobile: Now with full offline capabilities for iOS and Android, Salesforce1 Mobile users can enter information anywhere, anytime and sync it when they are reconnected. With new, enhanced Wave Charts and Dashboards, Salesforce1 Mobile users now have the power of analytics. 20 new Lightning Sales Components: Lightning Components are the reusable building blocks of modern apps and can be as simple as single UI elements, or as robust as microservices with embedded data and logic. 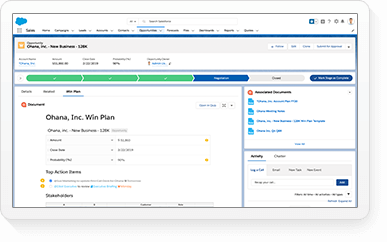 New Lightning Sales Components include Sales Path, Account Insights and Kanban, all designed to enable reps to sell faster and be more productive. Field Service Lightning: Organizations can connect their entire service workforce with tools for agents, dispatchers and mobile employees, giving customers a seamless service experience. Dispatchers can leverage smart scheduling to provide automatic, real-time assignments based on employee skills, availability and location. 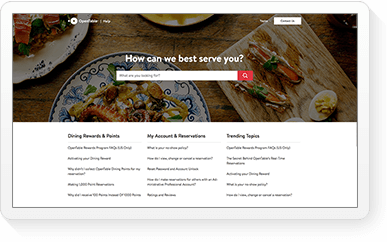 Service employees in the field are able to create and update work orders, and can also change requests and job status from any device, making them more productive than ever. 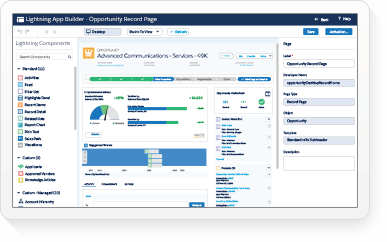 Omni-Channel Supervisor: Now call center managers have greater insight and visibility into their operations and agents’ workloads, enabling them to allocate resources to provide the best customer experience possible. Capabilities include real-time activity view, operational alerts, filtering and sorting capabilities and dynamic activity tracking and routing to help during high-demand service periods. 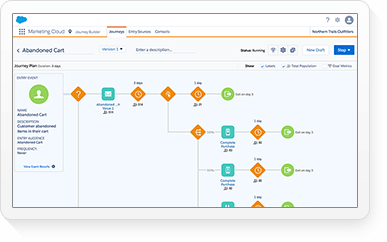 App Cloud: The new Process Builder makes it easy for anyone to quickly automate business processes using drag-and-drop criteria and enterprise workflows. Additionally, new services for the Lightning Component framework enable developers and partners to easily build custom components for the Lightning App Builder. Heroku Enterprise: CIOs need the flexibility and control to build, scale and manage the applications that connect brands with their customers. Heroku Enterprise enables developers to create connected apps using network, data and identity services shared across the App Cloud. In addition, new customer-centric big data services like private Postgres, Connect and Redis enable CIOs and their developers to easily harness and deploy the development tools that are essential to building trusted, modern applications. Marketing Cloud: Creating 1-to-1 personalized journeys is how forward-looking companies keep customers engaged with their brand. 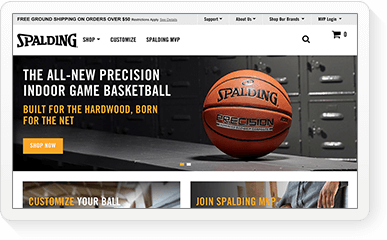 New email marketing innovations deliver a content management system, updated email creation flow and an email marketing mobile app to help marketers accelerate the delivery of scalable and personalized email programs. Workbenches for Social Studio provide brands with deep social insight to inform marketing strategy, surface trends and uncover opportunities to engage customers. The next generation of Journey Builder will also deliver Predictive Journeys that use data science to learn and score a customer’s likelihood to engage. Community Cloud Lightning: New Lightning Community Templates, Lightning Community Management and Integrated Live Agent enable companies to become smarter and more connected. Lightning Community Templates allow companies to create rich online communities in days, Lightning Community Management empowers the community manager with analytics and tools to foster community growth and Live Agent connects any self-service community directly to the service console to provide seamless customer support. 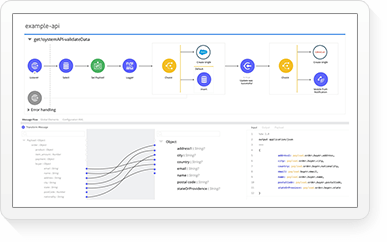 Salesforce is introducing new core Salesforce editions for Sales Cloud and Service Cloud to give customers more customization and configuration capabilities. Salesforce’s Professional Edition, Enterprise Edition and Unlimited Edition for Sales Cloud and Service Cloud will be replaced by new Lightning Professional Edition, Lightning Enterprise Edition and Lightning Unlimited Edition for Sales Cloud and Service Cloud, and will be priced at $75, $150 and $300, respectively. These new editions are expected to be generally available in Q2 FY17 (quarter ending July 31, 2016). Existing Sales Cloud and Service Cloud customers will automatically receive the capabilities and features of the new Lightning Editions on a rolling schedule starting Q2 FY17. They will not need to change editions. “For 70 years, Mattel has been focused on providing fun, safe play experiences for children and families. We turned to Salesforce and its Customer Success Platform to help us connect with millions of parents and create meaningful digital journeys that resonate and evolve as their children grow up. 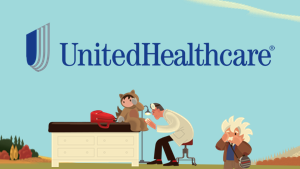 Today, we have a secure, engaging ecosystem for our customers and Salesforce has been a key part of that process,” said Carlson Choi, vice president and head of Mattel’s Digital Initiatives Group. “Salesforce has set the standard for innovation in the cloud, and by association, CRM, delivering an unprecedented three releases per year for the last 17 years. Maintaining that pace of innovation is even more crucial as both the pace of technology and customer requirements continue to accelerate and become more complex,” said Mary Wardley, vice president, Enterprise Applications and CRM Software, IDC. Salesforce SteelBrick CPQ is generally available today for Sales Cloud users starting at $40 per user, per month. SalesforceIQ Inbox is generally available today at $25 per user, per month for Sales Cloud users. Sales Wave App is generally available today at $75 per user, per month for Sales Cloud users. 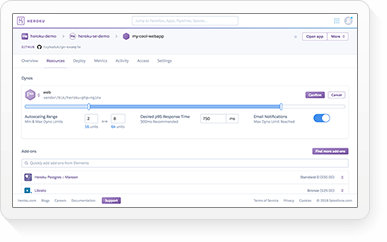 Heroku Enterprise features are available today as a part of the new Heroku developer experience. Pricing for Heroku Enterprise is based on resources and usage. Lightning Community Templates are generally available today. Current templates are available to Community Cloud users at no additional charge. Integrated Live Agent is expected to be generally available to Sales or Service Cloud users. Pricing will be announced at the time of general availability. Salesforce1 Wave Charts and Dashboards are expected to be generally available at no additional charge. Journey Builder Predictive Journeys is expected to be generally available and pricing will begin at $3,750 per month. Workbenches for Social Studio is expected to be generally available and pricing will begin at $1,000 per month. New Sales Cloud and Service Cloud Lightning Editions are expected to be generally available at $75, $150, and $300 per user, per month. Field Service Lightning is expected to be generally available for Service Cloud users. Pricing will be announced at the time of general availability. Omni-Channel Supervisor is expected to be available in beta for Service Cloud Users. Pricing will be announced at the time of general availability. Salesforce1 Offline and new services for the Lightning Component framework are expected to be generally available at no additional cost. Lightning Voice is expected to be available in beta for Sales Cloud users. Pricing will be announced at the time of general availability. New email marketing innovations are expected to be generally available. Pricing will begin at $400 per month. “Safe harbor” statement under the Private Securities Litigation Reform Act of 1995: This press release contains forward-looking statements, including statements relating to the future availability of certain services, features and pricing. The achievement or success of the matters covered by such forward-looking statements involves risks, uncertainties and assumptions. If any such risks or uncertainties materialize, or if any of the assumptions prove incorrect, whether and when such services, features and pricing become available could differ materially from what is expressed or implied by the forward-looking statements we make. Further information on factors that could affect the company’s offerings and its financial and other results is included in the reports on Forms 10-K, 10-Q and 8-K and in other filings we make with the Securities and Exchange Commission from time to time, including the company’s most recent Form 10-K. These documents are available on the SEC Filings section of the Investor Information section of the company’s website at www.salesforce.com/investor. Salesforce.com, inc. assumes no obligation and does not intend to update these forward-looking statements, except as required by law. Salesforce, Salesforce1, Salesforce Lightning, and others are among the trademarks of salesforce.com, inc. Other names and brands may be claimed as the property of others.